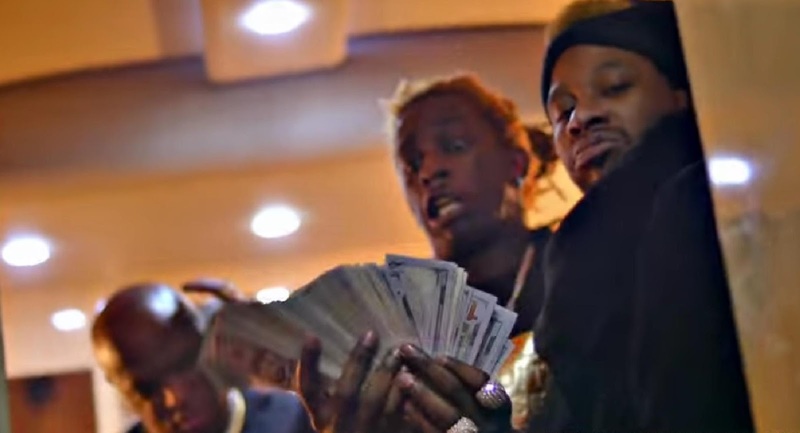 Young Thug is all about his paper in the flashy video for “Check.” Thugger flaunts his wealth by holding stacks of cash and making it rain on his tour bus. Louisiana rapper Young Thug, real name Jeffrey Williams, has unveiled the music video for his new song "Check" that will appear on his upcoming album, controversially titled Carter 6. Directed by Thugger and Be El Be, the video takes you inside Young Thug's tour bus that is nearly overflowing with his crew and stacks of $100s. You would think that he got paid for each gig in cash, which is how he was able to create such a video and probably isn't the smartest move if you want to keep your money safe, but alas Williams did not hire us as financial advisors. Having all of those $100s looks pretty baller. Thugger just wrapped up his March "Rodeo Tour" with Travi$ Scott and Metro Boomin, which is probably where he got the funds and why he was on the bus.